Both public and private buses are relatively safe forms of transportation—in South Florida and elsewhere around the country. Headline-generating incidents aside, the overwhelming majority of bus passengers get where they want to go with nary a glitch. But if a bus is involved in an accident, the consequences for passengers—and the passengers in other motor vehicles—can be dire. For one, buses aren’t equipped with the same kind of safety devices that are commonly found in other motor vehicles, with the lack of seatbelts and airbags being two prime examples. Buses also have a high center of gravity and are much more likely to roll over as compared to most other motor vehicles. Finally, when a bus makes contact with a car or a pedestrian, its size and weight often contribute to catastrophic injuries and property damage, with fatalities likely to result. Moreover, because of the serious nature of many bus accident injuries, victims often miss work, leading to diminished earnings—and diminished future earnings. At Gonzalez & Cartwright, P.A., our lawyers are heavily invested in protecting our clients’ rights and work tirelessly to recover compensation for bus accident injuries caused by the negligence or recklessness of the bus driver or bus operator. We recognize that it may be challenging for some people to stand up to government agencies or private bus companies to obtain the compensation they deserve, so our attorneys and staffers provide support and guidance throughout the process. Bus-only accidents: Typically, the bus driver loses control of the bus for one reason or another and the bus rolls onto its side. Passengers are often seriously injured in these crashes because buses are not normally equipped with safety devices like seat belts and airbags. Bus vs. other motor vehicles: If a bus strikes other vehicles, the passengers in those vehicles often sustain severe injuries. These individuals may be entitled to financial compensation if the bus driver’s negligence contributed to the accident. Bus vs. pedestrian accidents: A pedestrian accident involving a bus often results in particularly devastating injuries for the pedestrian, who may be dragged for an extended distance or crushed by the wheels of the bus. At Gonzalez & Cartwright, P.A., our attorneys have decades of combined experience obtaining compensation in cases involving catastrophic injuries and wrongful death. And we’ve recovered a total of more than $30 million for our clients, many of whom hail from the local Hispanic community. Injuries sustained in Palm Springs bus accidents can have lifelong consequences. So it’s especially important to obtain competent, trustworthy legal advice. At Gonzalez & Cartwright, P.A., we concentrate on identifying each and every possible negligent party who may owe compensation in a bus accident claim. Then we work with the insurance companies to reach a fair settlement. Or, if necessary, one of our veteran trial lawyers will take your case to trial. At Gonzalez & Cartwright, P.A., we are a part of the community in which we practice law, and we’re known as one of the premier Spanish-speaking law firms in all of South Florida. Attorney Adriana Gonzalez, in particular, has a long history of fighting for the rights of Hispanic accident victims. 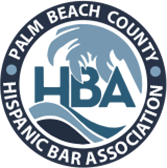 Notably, she is a past president of the Palm Beach County Hispanic Bar Association and devotes time to the Palm Beach Coalition for Immigrant Rights. You can reach Gonzalez and her staff via this online contact form. We encourage you to schedule a free initial consultation to discuss your case and legal options. FAQ: What damages can I potentially recover in a bus accident? In general, you can recover for many of the same damages you would in any other motor vehicle accident. That includes property damage, hospital bills and other medical expenses, lost wages (past and future), emotional distress, and pain & suffering. 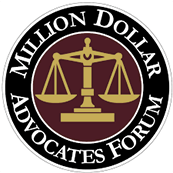 FAQ: Do I need an attorney to recover financial compensation in the wake of a bus accident? Not necessarily. In theory, you could negotiate with a bus driver’s insurance adjuster or a bus company’s representative and come to a settlement. But you’d likely be flying blind, with little idea of what your injuries are worth. Moreover, you would likely find it challenging to determine which party is potentially responsible for your injuries, another major obstacle. Finally, pursuing some damages would only be possible via lawsuit, which, for all intents and purposes, requires the involvement of an experienced West Palm Beach personal injury lawyer. All in all, it’s strongly recommended that you retain a qualified attorney if you have been injured in a bus accident. An attorney can not only help shepherd you through the legal process, but he or she can also free you up to focus on recovering from your injuries.